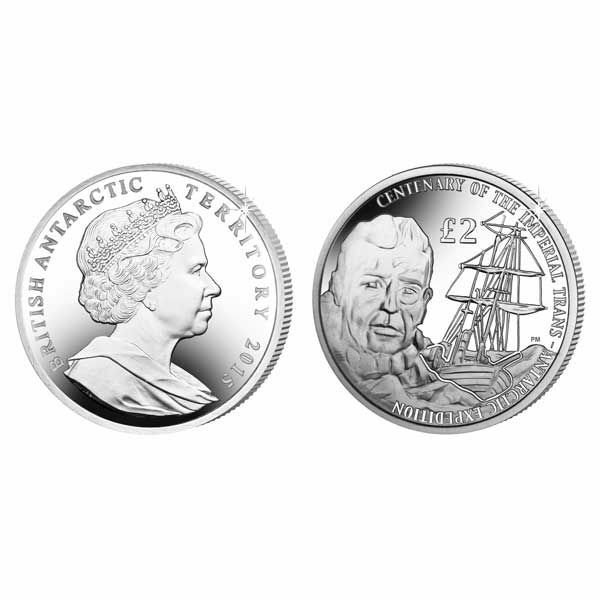 To commemorate the Centenary, this beautiful new coin shows the Endurance stuck in the Antarctic ice with a portrait of Sir Ernest Shackleton carved into the iceberg in the foreground. The obverse carries an effigy of Her Majesty of Her Majesty Queen Elizabeth II by Ian Rank-Broadley FRBS. 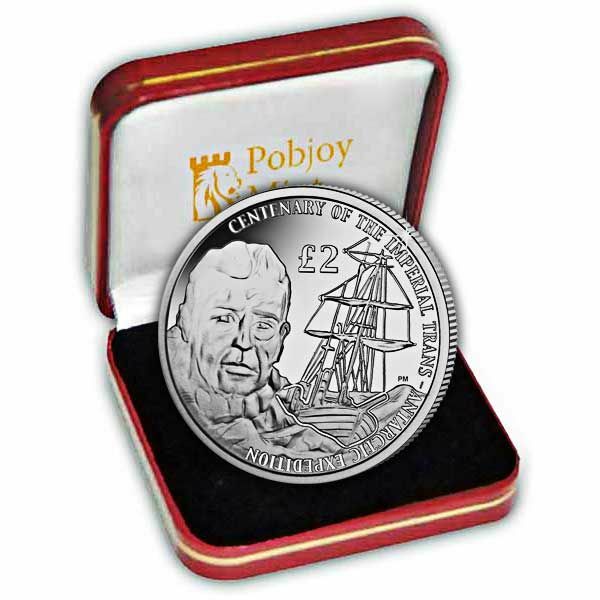 This stunning coin is available here in Proof Sterling Silver and also in Cupro Nickel. Each precious metal coin has been carefully struck four times and features high relief sculpting against a mirror brilliant background.